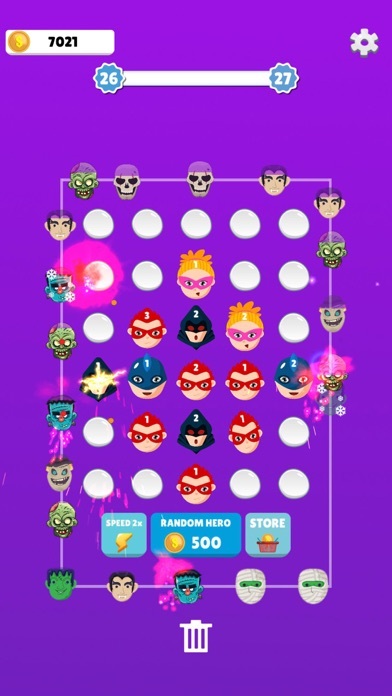 Merge the Superheroes to increase their level. 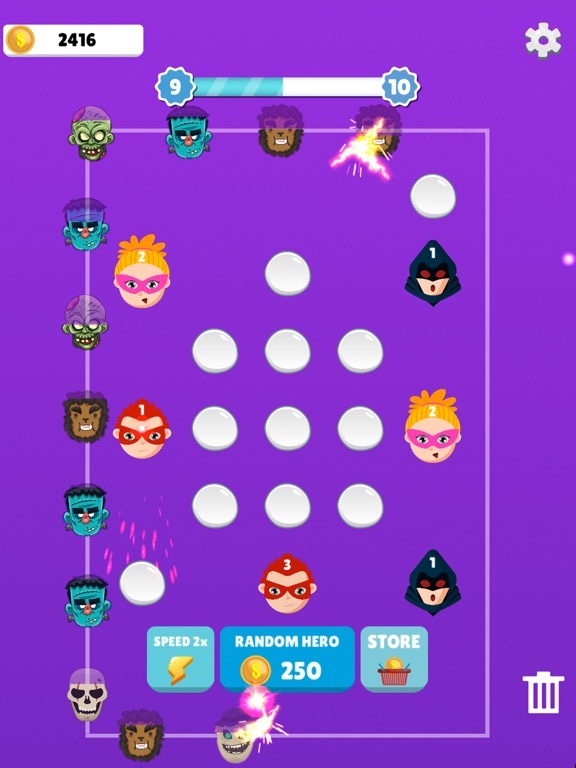 Each Superhero has their own special ability which will help against the evil monsters coming out each round. 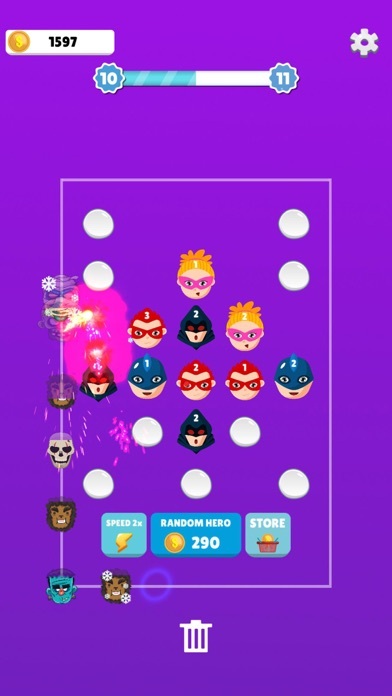 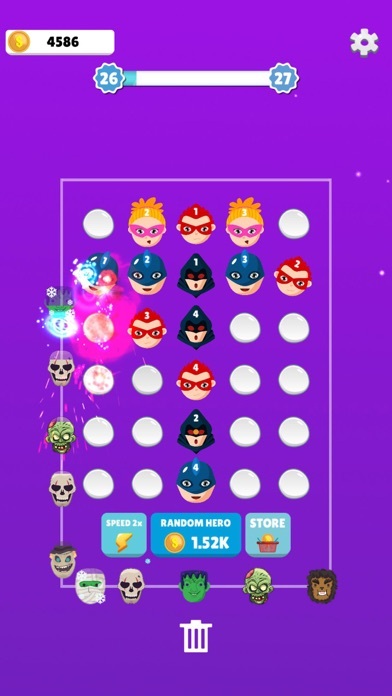 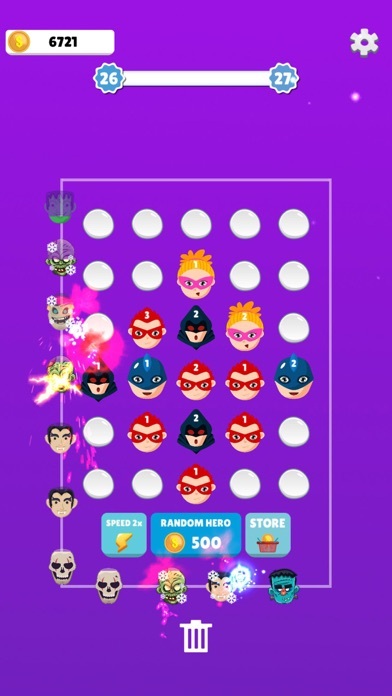 The object of the game is to keep the monsters from completing a lap around the superheroes. 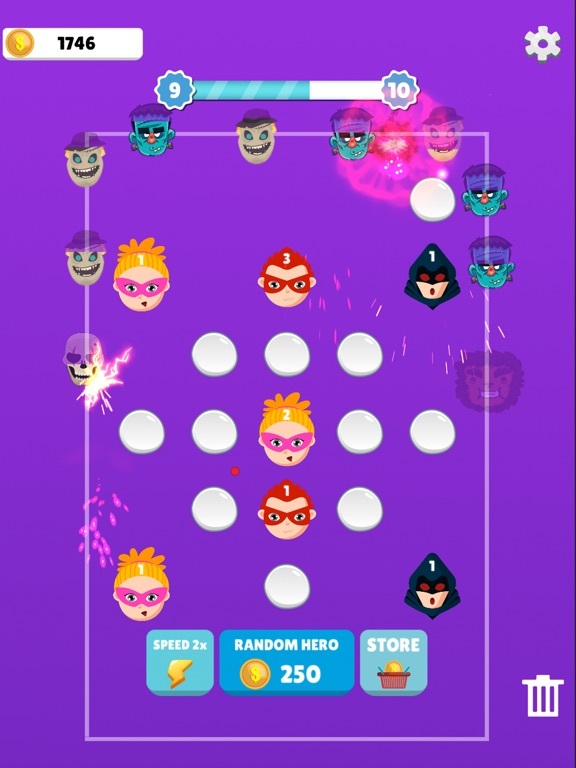 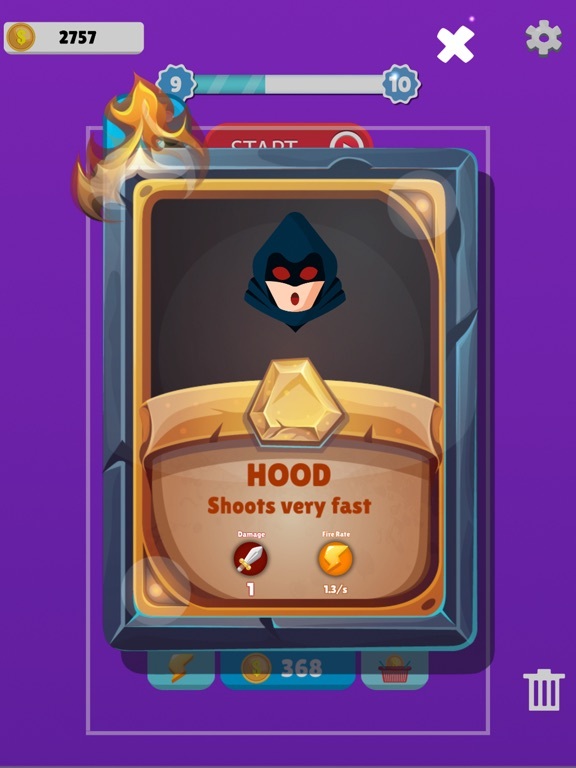 This way you can protect the citizens from the evil monsters!